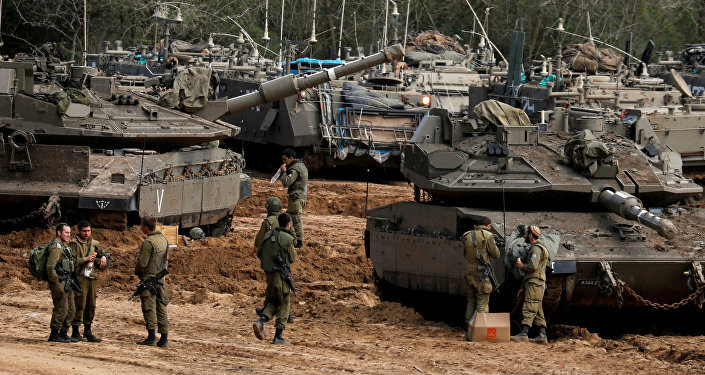 The current education minister of Israel seeks the position of the minister of defence in order to take strong military action against Hamas in the Gaza Strip. Naftali Bennett, one of two leaders of Israel's New Right party, has pledged to take decisive and violent action against Hamas, the organization that runs the Gaza Strip, saying the current Israeli leadership has "given up" on Israelis' security and welfare, The Times of Israel reported Tuesday. Speaking at a press conference in the southern town of Ashdod, the incumbent education minister called on Israeli Prime Minister Benjamin Netanyahu to make him defense minister, so that he can "deal with Hamas properly." "The IDF must be given the order to defeat Hamas, to uproot Hamas, to destroy its ability to harm the residents of the south — not to talk about deterrence, but to take Hamas's sword and break it," Bennett said, pledging to "open the gates of hell" on Hamas after he becomes defense minister. He criticized the IDF for what he said was a weak response to the recent missile attack; according to Bennett, the IDF "took out an empty building" and then said "that Hamas was deterred, that [Hamas] had not seen anything like this in 40 years." He said that he has a "plan" instead, which he introduced "a long time ago." Bennett did not disclose the details of his plan, but said he will promote "generals who don't compromise;" adding, however, that he has complete trust in current IDF Chief of Staff Aviv Kochavi and even Netanyahu himself, despite blasting him for his "weak" stance on Hamas. "Give me the keys, I know what to do. I know what to implement. I know what to replace. I know whom to replace," he said. Bennett also disclosed a financial plan he and Alona Barkat, the New Right's number three man, developed for the south of Israel. One part of the plan involves extending a tax exemption zone — a measure known as "Front Line Benefits" — from 7 to 40 kilometers from the fence dividing Gaza from Israel, the Times report says. "They don't count you, because to count you means they have to pay for you. I will make sure you get everything you deserve. Money, not rockets. And when I promise, I fulfill," Barkat said about the plan. On Monday evening, around 30 rockets were fired from the Gaza Strip at Israel, but later the same day Hamas said it accepted an unofficial Egypt-brokered ceasefire. Despite that, combat continued throughout the night, with some 30 more missiles launched at the Jewish state between 10 p.m. and 3:15 a.m. The IDF conducted retaliatory airstrike against Hamas into Tuesday night. At least seven Israelis have been reported injured as a result of Hamas attacks.